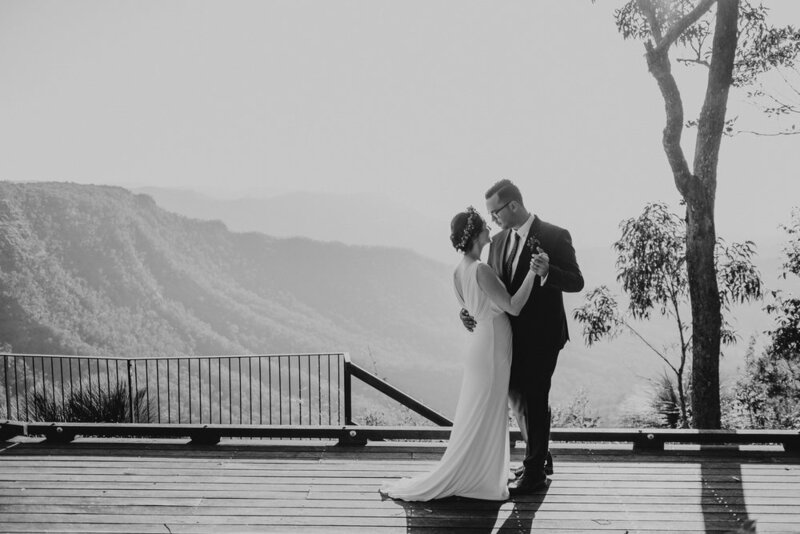 O'Reillys has to be one of the Gold Coast Hinterland's best kept secrets. 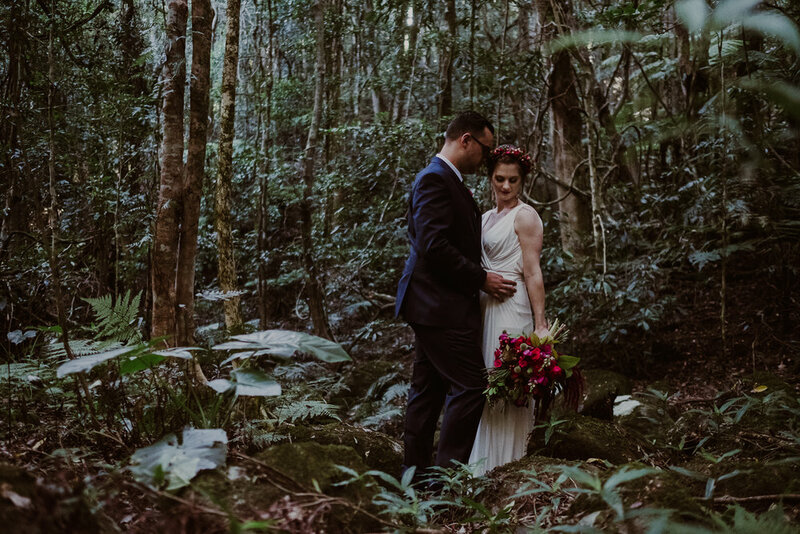 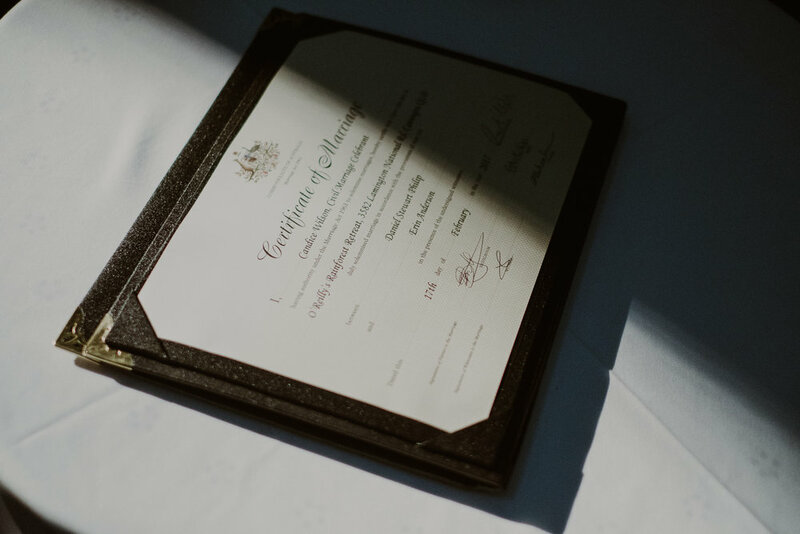 Chances are if you've ever done the drive up through Canungra, up the winding hairpin road, you'll know just how lush and ethereal the surroundings are - however a day trip to the retreat just doesn't come close to capturing the hidden beauty that lies at the end of a 4WD trek (included as part of the ceremony package). 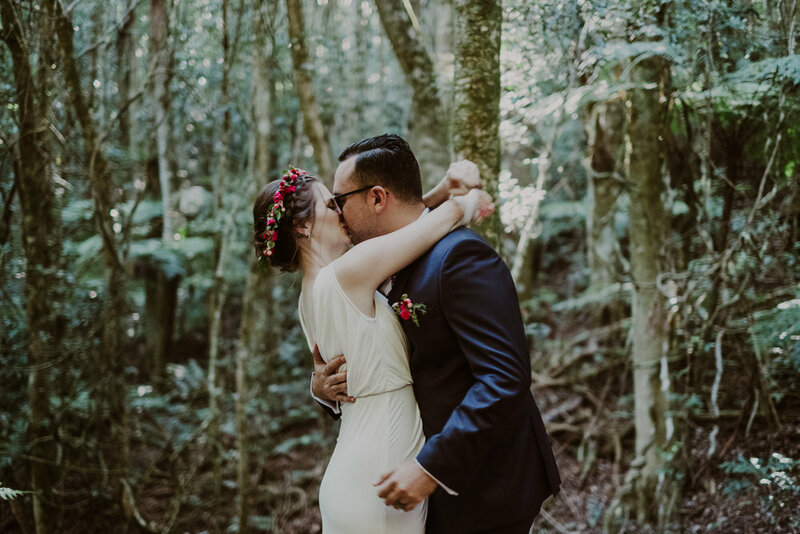 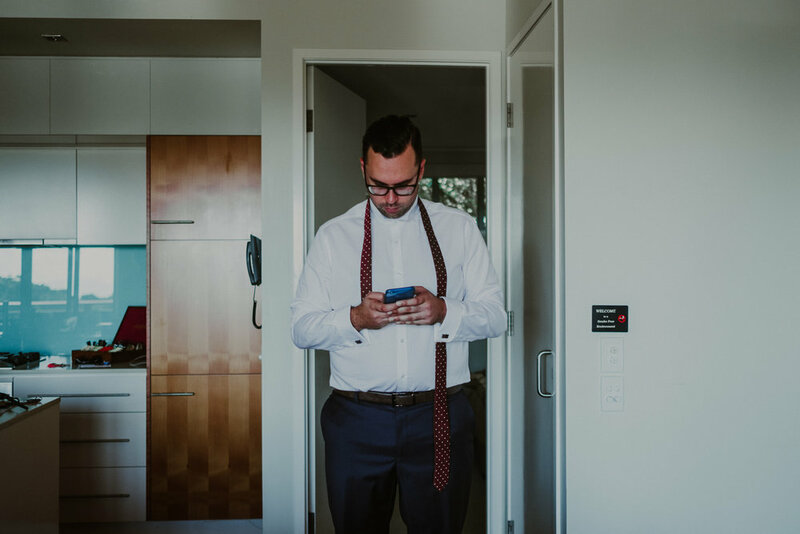 So when Erin & Dan were looking for a private hideaway to elope and to stay for the weekend, we pitched them this idea and were super excited when they said yes. 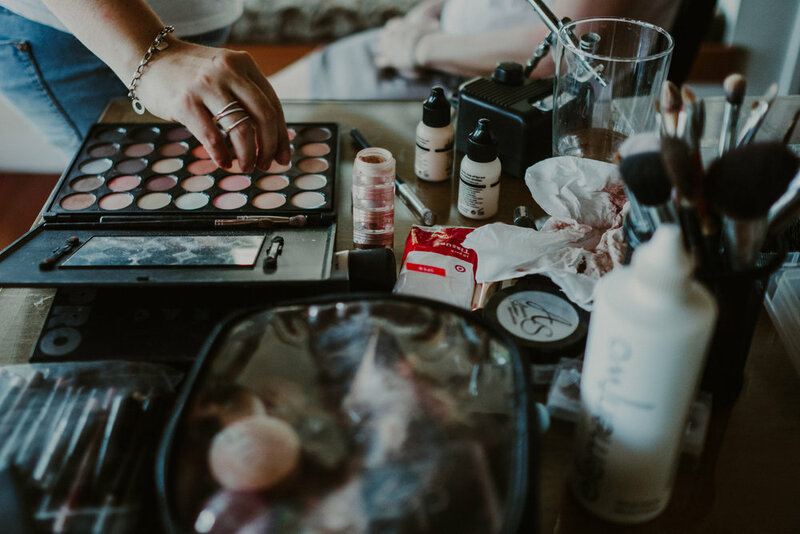 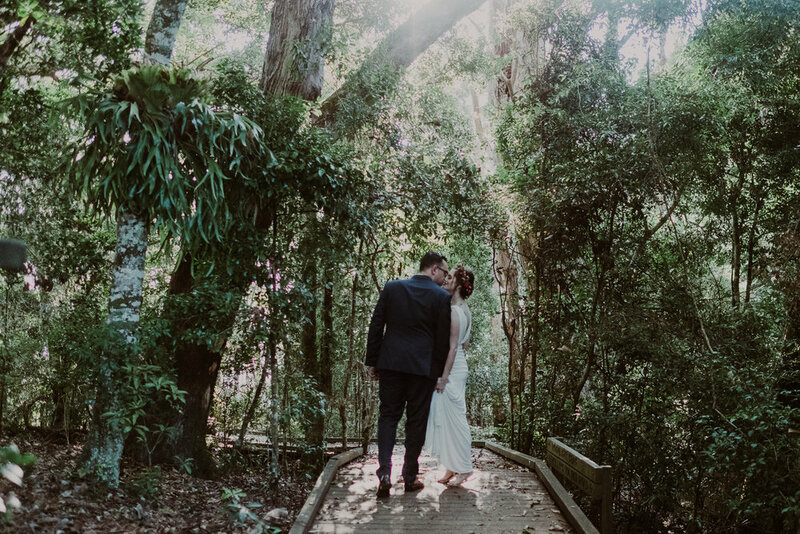 We've seen some stunning forest wedding locations, but to say that O'Reilly's blows them all out of the water is an understatement. 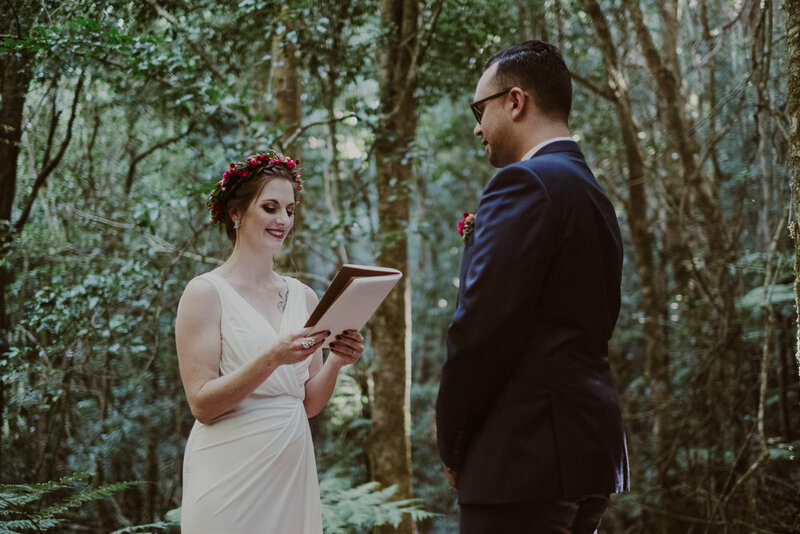 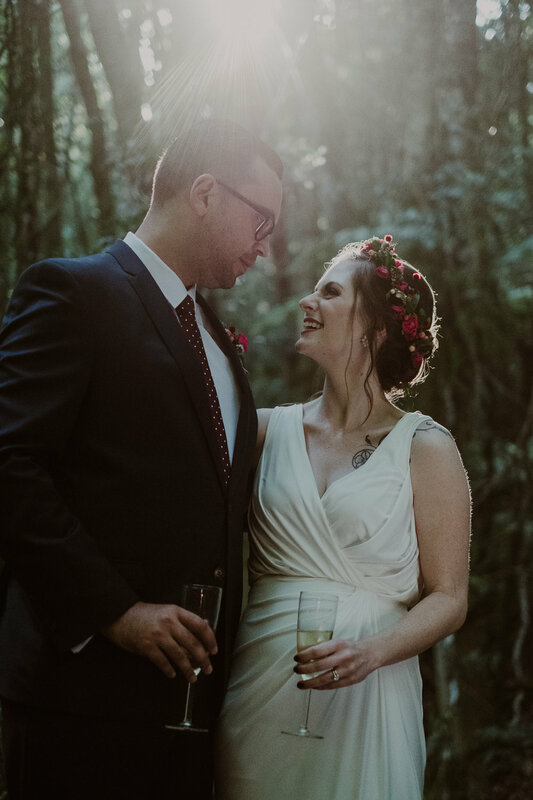 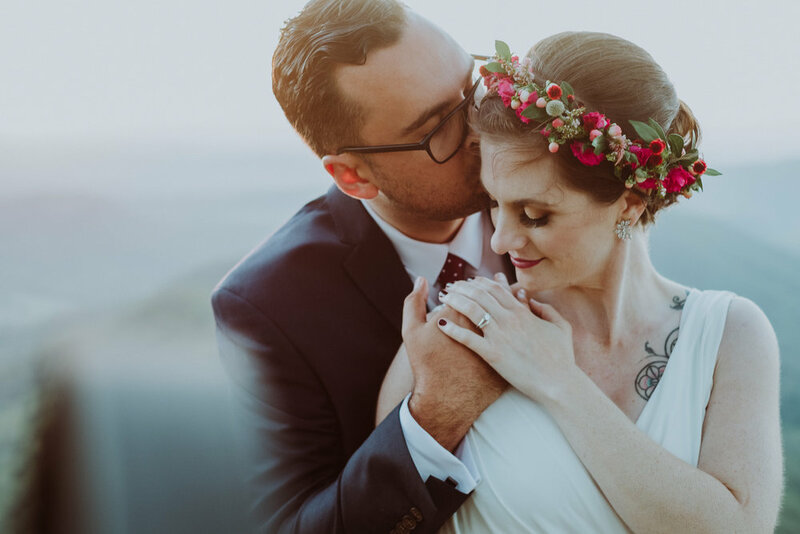 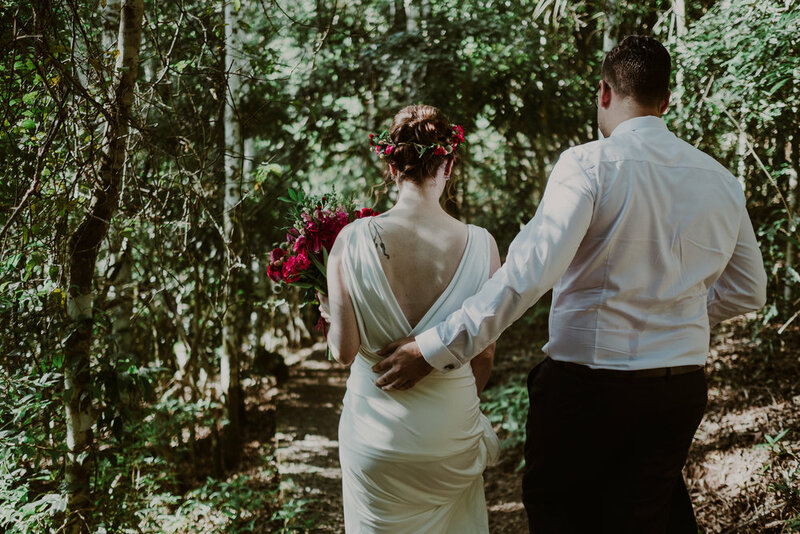 A hidden boardwalk completely surrounded by trees, a babbling book nearby, a glass of champagne in your hand - and you have the recipe for pure forest elopement heaven. 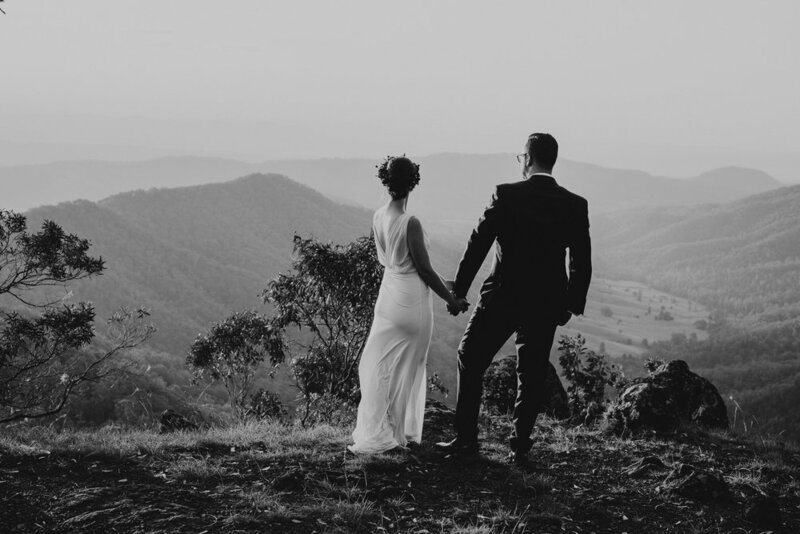 O'Reilly's guide Lisa was only too happy to chauffeur us around so the bride and groom could have their portraits taken in amongst the most spectacular scenery. 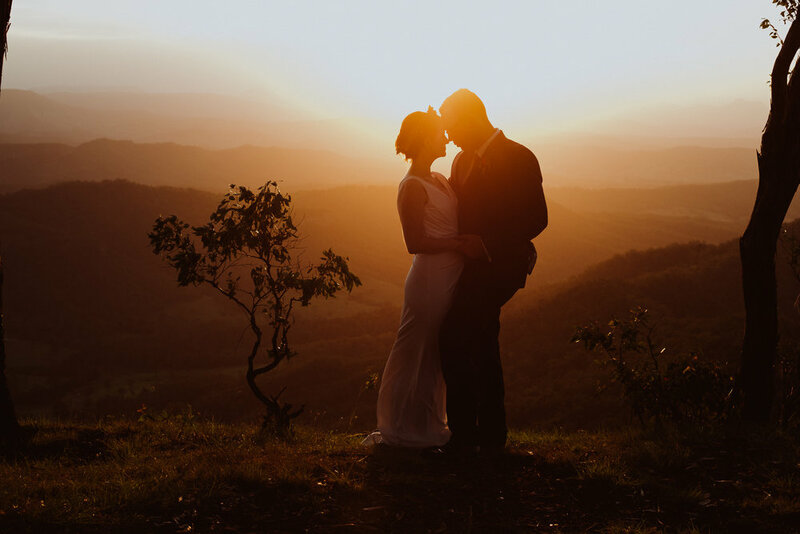 Each stop blew their minds just a little bit more - until we ended with the most spectacular sunset out on a ridge where you swear you are standing on top of the very world itself. 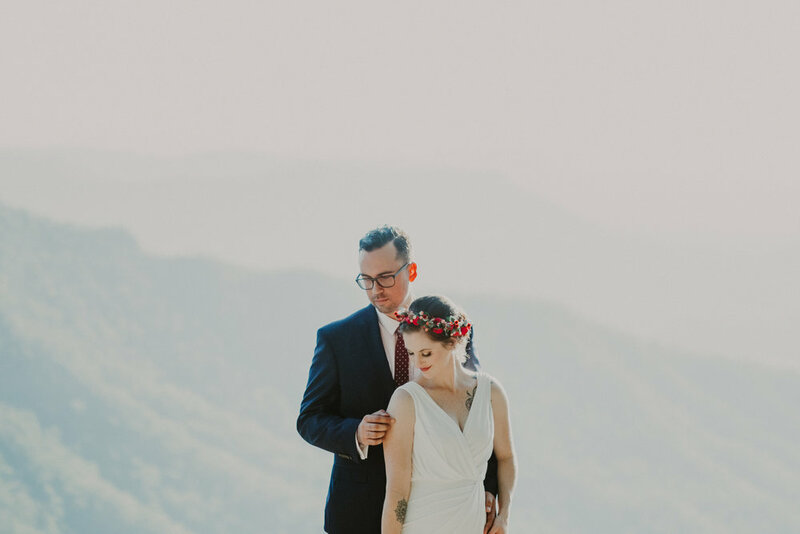 It was simply, the most perfect day.